YSL Rouge Volupte Shine in Fuchsia in Rage, My First Premium Brand Lipstick!! The amazing thing about this lipstick is: I got it for free!! M: Let’s meet up! Grand Indonesia, anyone? M: Ah? Why can’t? I want to give you Channel Lipstick! Me: OKAY COUNT ME IN! Then I called the salon to cancel my appointment. HAHAHAHAHA. So here it is, YSL Rouge Volupte Shine in Fuchsia in Rage!! It was IDR450.000 and worth every penny. Matter of fact, I don’t think this premium brand lipstick is expensive. I’ll tell you why in the post so continue reading. 😉 I know it doesn’t need any review – let alone from a newbie like me, but hell yeah let’s make a review about it. Hihihi. Packed in a luxurious gold tube inside the rather usual gold box, YSL Rouge Volupte Shine has a heavy and rich feels to it! There’s a structured YSL famous logo in the middle of the tube. The inner tube designed diagonally to fit in the diagonal lipstick. Must I say, it looks pretty and … rich! Look how good-looking it is! 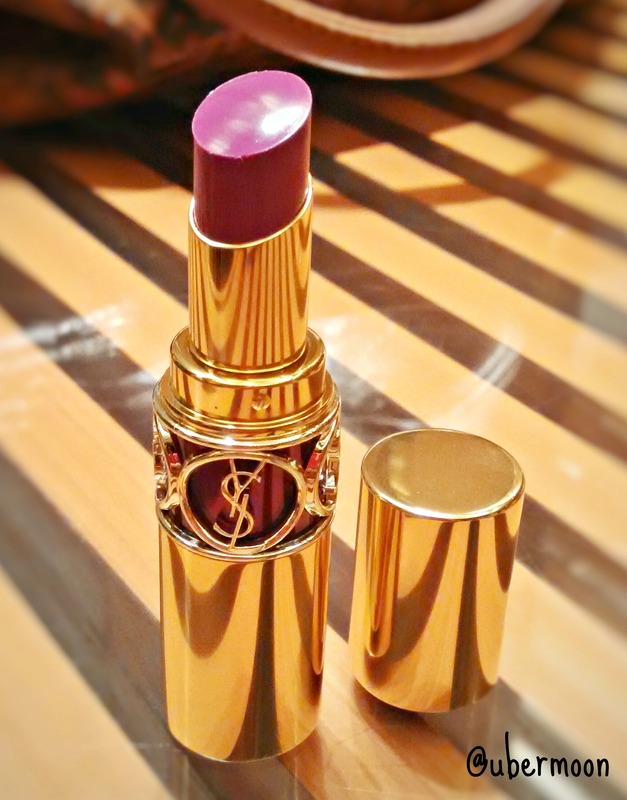 I admit, I needed more than three days to finally have the courage to swipe this YSL Rouge Volupte Shine on my lips. Hihihi. Corny, I know, I just don’t want it to change. I love seeing the virgin version of it. LOL. First impression, of course the smell. It smells a bit odd; like the mix of fresh leave with paint but not like the weird-smell-paint. The smell doesn’t annoy me, which is good. From the first glide, the color payoff of this YSL Rouge Volupte Shine is amazing. Smooth and soft, this YSL Rouge Volupte Shine glides heavenly on my lips. I know now the significant difference of the rather pricey lipsticks and the more affordable ones. 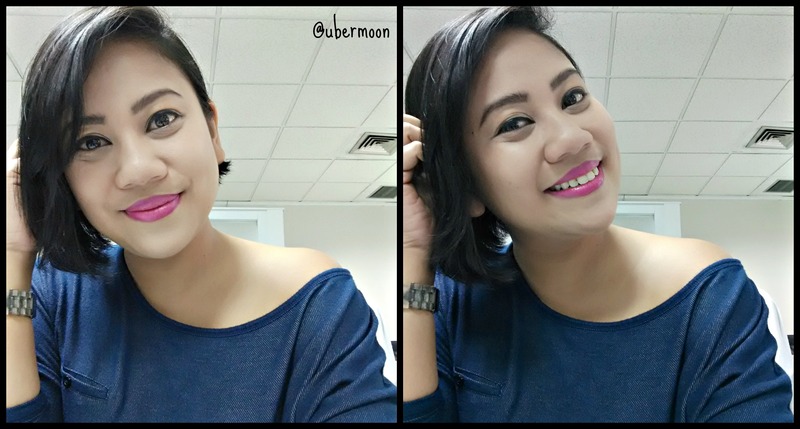 My lipsticks which price is more than IDR250.000 has a very long staying power. This YSL Rouge Volupte Shine is no difference, the staying power is amazing! I swipe in the morning, wear it like usual with eating and non-stop drinking, and at around 6 – 7PM, it still stays. One thing I hate with lipstick is when the half-inner of your lips lose the color when the half-outer still shows color, that just looks funny; fortunately, it doesn’t happen with this YSL Rouge Volupte Shine. SUPERYAYNESS!! 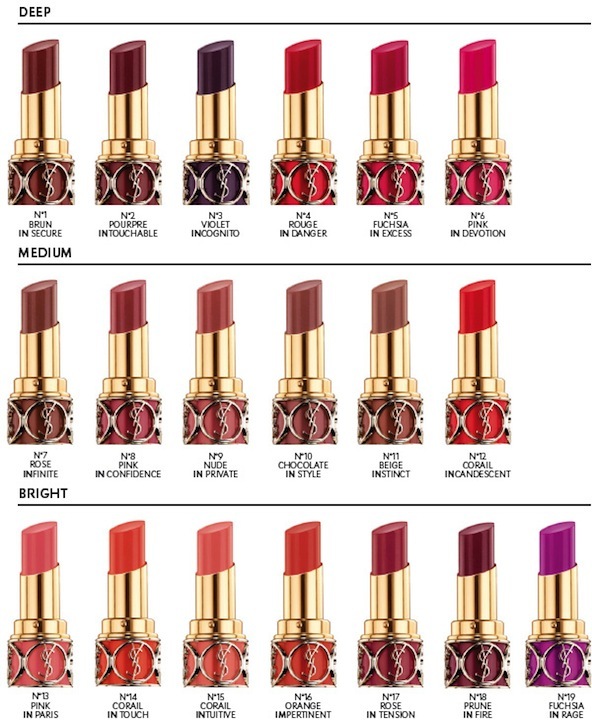 So, do I want to have another shades from YSL Rouge Volupte Shine collection? Looking good on u! Love YSL too! Kyaaaaaa, very beautiful, kak!!! Truthfully! Ahahaha.. Karena alis paripurna adalah mood harian yang terjaga.. Ihihihi..